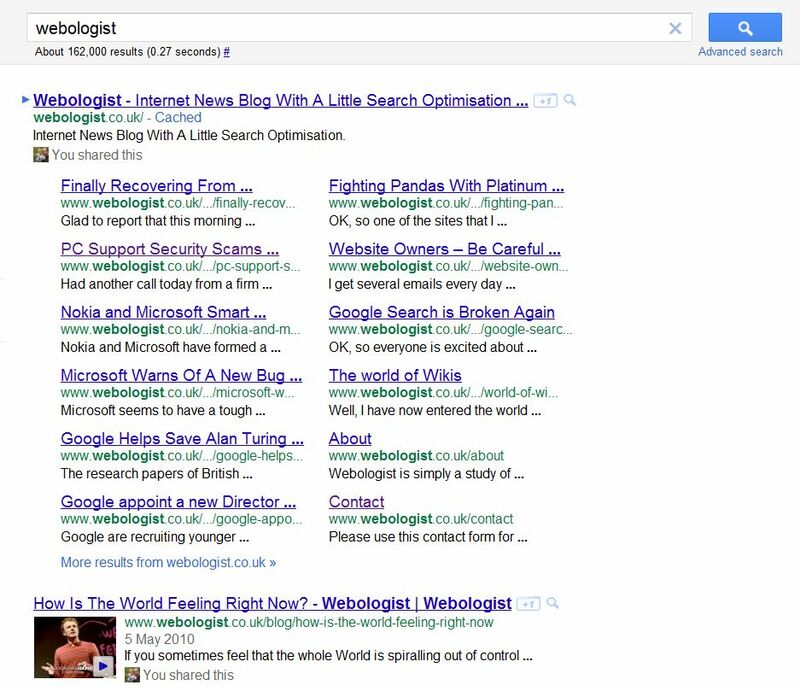 Just heard from Pierre Far, Googler that hangs out on Google+, that the all new sitelinks have been rolled out. 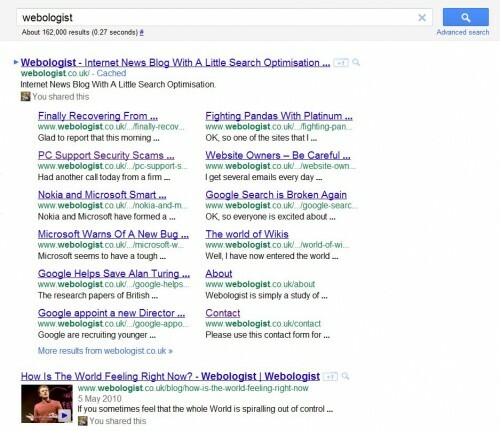 I just Googled “Webologist” and sure enough, there is now a page full of site links. Fantastic. This means that now when people search for a brand they are far more likely to see only the results that they are looking for and not results from other websites which are trying to out rank competitors in their own branded keywords. It used to be a case that if you searched for a newish brand you would see results from scrapers and other nasty, sneaky black hat SEO types who had built pages for Google searchers to steal traffic from other sites. Now if you search for a know brand or popular domain (or even Webologist!) you get 12 sitelinks with descriptions and URLs so that you can hopefully find your way to the information that you want much more quickly. Sitelinks are now managed slightly differently too. Rather than blocking links, as you would previously do in Google Webmaster Tools, you now demote links. Sitelinks will now be different depending on the query you type in to Google, so that means they are dynamically created.